Please contact us directly via the phone so we can discuses your order. If language is an issue, please provide me with your order number and I will look to email you directly based on the email address we have when you registered. Forums are only for community support. Payment issues are quite private stuff. Dates, account numbers must be mentioned to find your payment and help you. 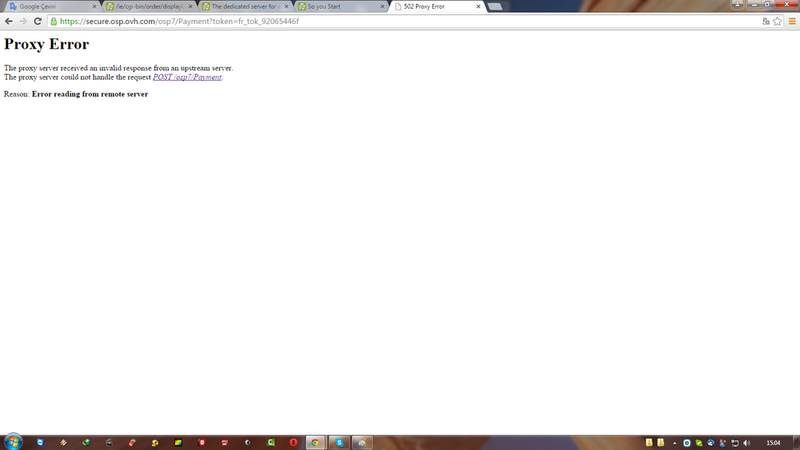 The proxy server could not handle the request POST /osp7/Payment.